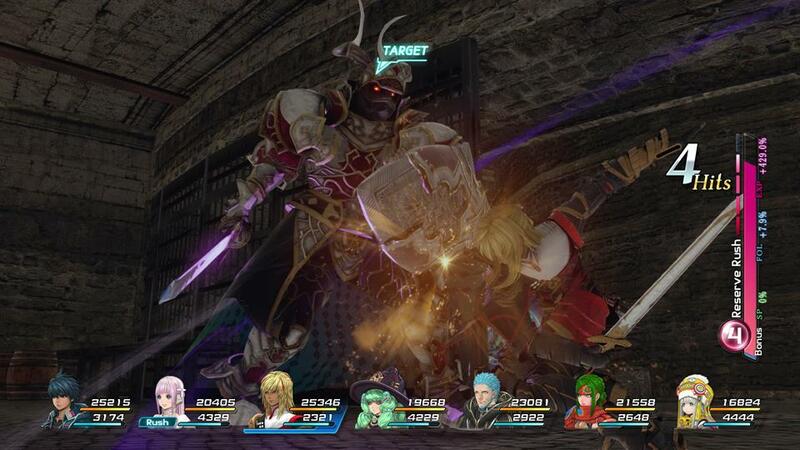 Square Enix is throwing some love at this niche, action-packed RPG. 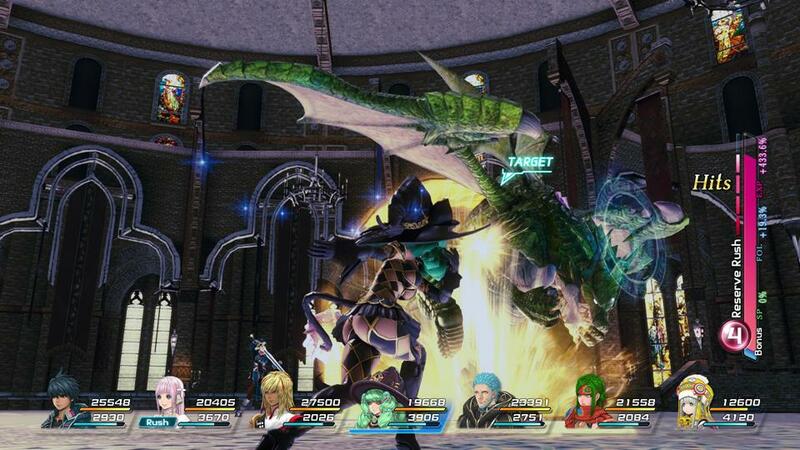 Star Ocean: The Last Hope is one of my favourite guilty pleasures of the last console generation. That’s mostly because it’s seemingly utterly unconcerned and unashamed of what it is; its lead character is ludicrously called Edge Maverick (no prizes for guessing his personality type) and his Reverse-Midas touch, where so much he touches goes wrong, is played straight and ends up hilarious. 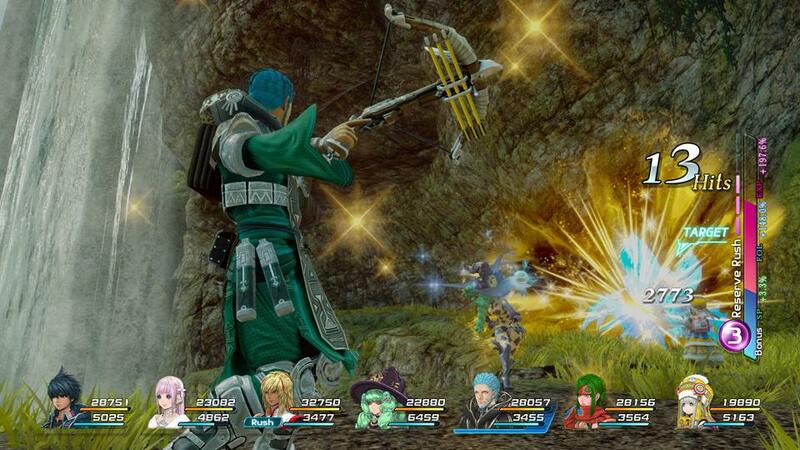 It’s silly, but it’s the right sort of silly, and because of that I’ve been quietly curious about the latest Star Ocean for quite a while now. 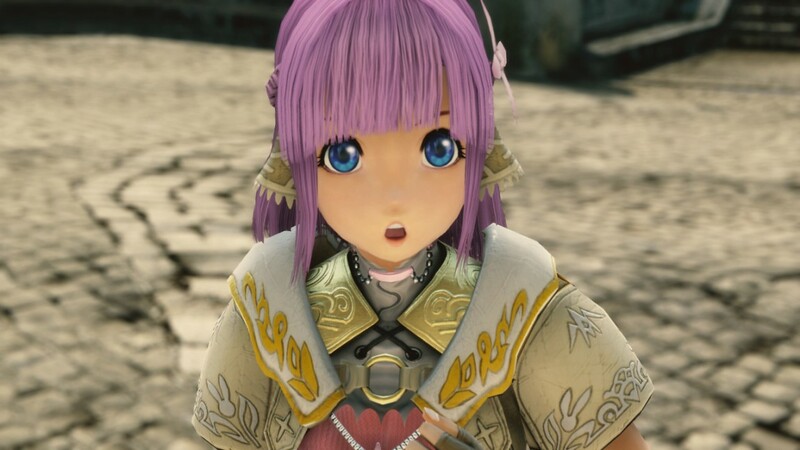 While Final Fantasy seems to be taking care to feel out for the closest thing to a middle ground between all manner of tastes, Star Ocean: Integrity and Faithlessness seems similarly unabashed to its predecessor. It’s all anime tropes and silliness, right down to its ‘wait, what?’ title. That’s no bad thing, though – in the current climate I find it refreshing, something driven home by a few hours with the early parts of the game, which is out in a little over a month. 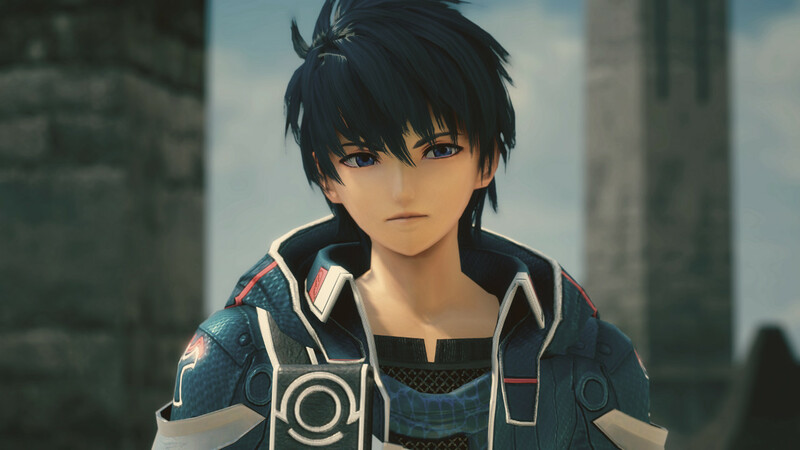 One glance at lead character Fidel Camuze tells you almost everything you need to know: there’s a shock of bright blue air, similarly bright armour to match, and a sort of high-tech-but-not look to his outfit that’s befitting of the series’ science-fantasy tone. I get it. It’s the highest of high anime. All of the character designs, which come from famed Street Fighter II artist Akira ‘akiman’ Yasuda, are similarly strong statements of intent. The main heroine, Miki, is a pink-haired anime archetype who gasps and pouts her way through scenes while boasting a self-assured and independent attitude that’s very familiar indeed. These are the sorts of characters you now tend to find in games from niche publishers like Nippon Ichi, but also the kind that have gradually died out from bigger console releases that aren’t Namco’s Tales series. 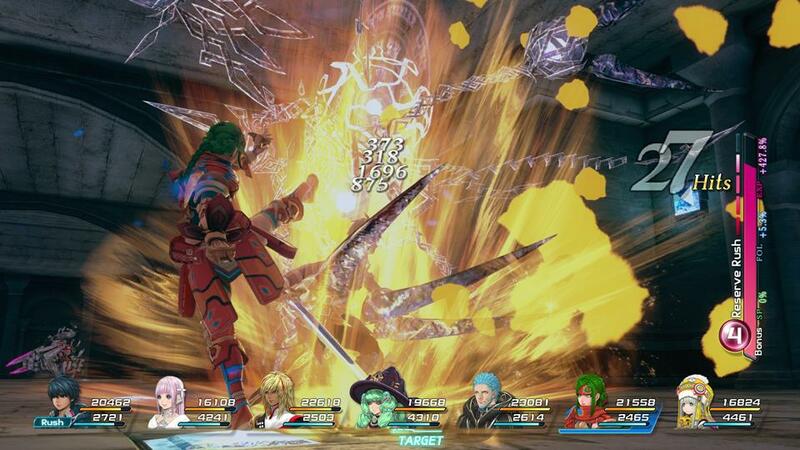 For a while it even seemed like Star Ocean was dead, with the series taking an 8-year hiatus. 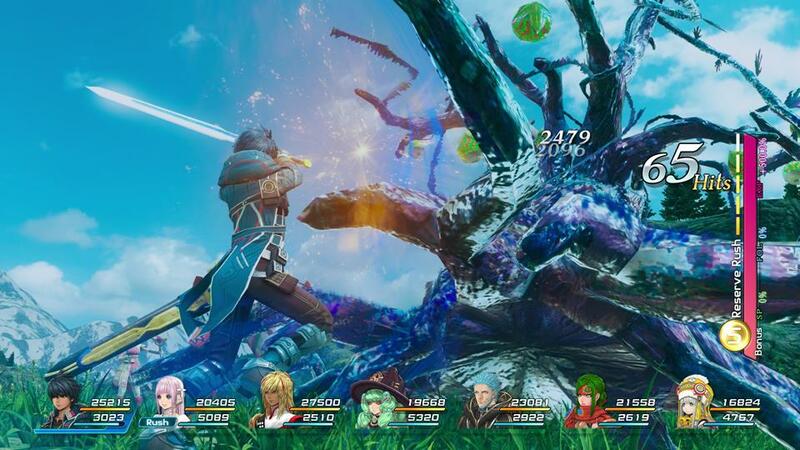 While Star Ocean undoubtedly has less money behind it than FF15, it’s clear that Square Enix has spent a decent chunk on the game – it looks gorgeous, especially considering in Japan it was a cross-generation game that also launched on PS3 – here, it’s a PS4 exclusive. As with Dragon Quest Heroes, there’s something about this console generation that finally allows this artistic style to really click. The characters look like dolls come to life, but somehow are actually quite expressive and manage to skirt around an uncanny creepiness nicely, while the bright primary colours of the outfits pop brilliantly. If the cross-generation background of the game shows anywhere, it’s in the environments, which are decent but also quite visibly less ornate than solely current-generation stuff. So far so anime, then. I’m no anime-head, myself. 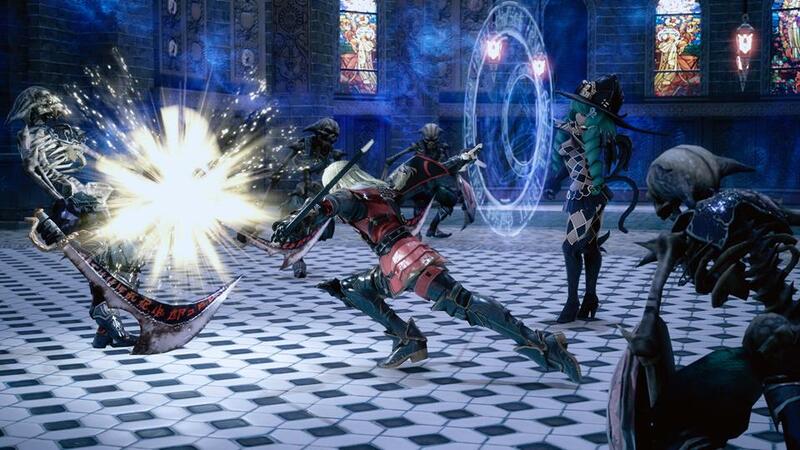 Some Japanese RPGs like older FF and Persona have managed to turn my head with mechanics and story – but it takes something special to really draw me in. 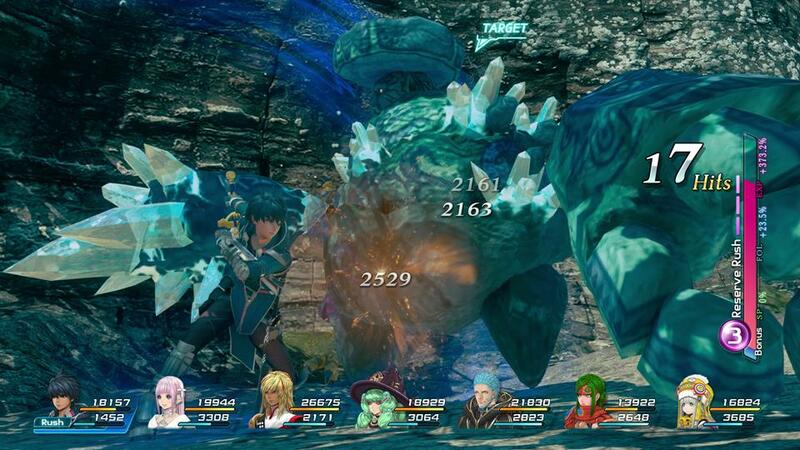 The previous Star Ocean drew me in with how absurd its glorious narrative was but held on to me with surprisingly compelling gameplay – and it looks like this one could well do the same. 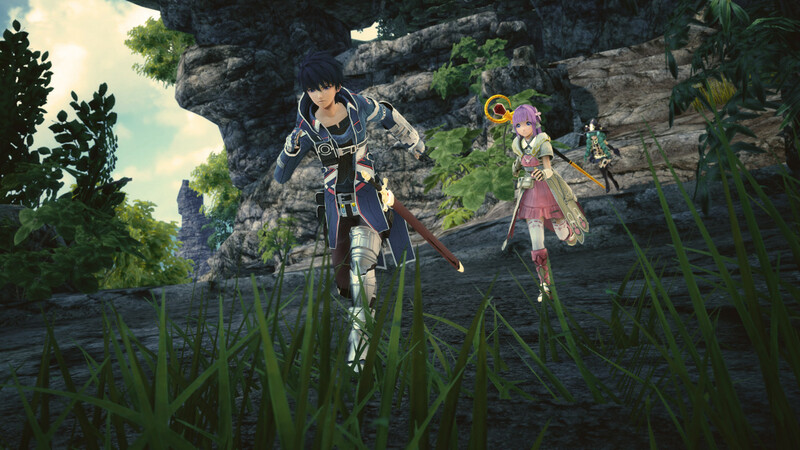 One advantage Star Ocean has over many other Japanese RPGs is that it’s always been an action-based series, right back to the 1996 SNES original. 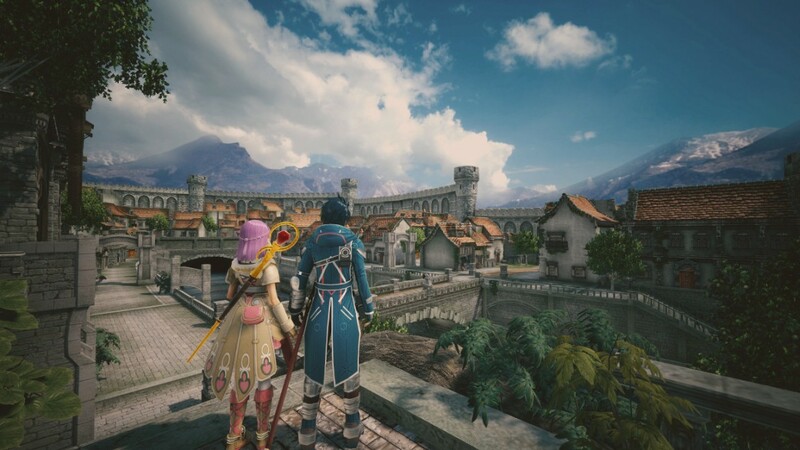 Where other series’ struggle to reconcile old turn-based tropes and expectations with the demands of modern gameplay and a world where Western RPGs have found their groove on console, Star Ocean doesn’t have that problem: it’s been action all along. In a sense it was ahead of its time, and only 20 years later is it becoming clear how much so. Integrity and Faithlessness looks to evolve that concept with simple three-button combat – Light Attack, Heavy Attack, and Guard. 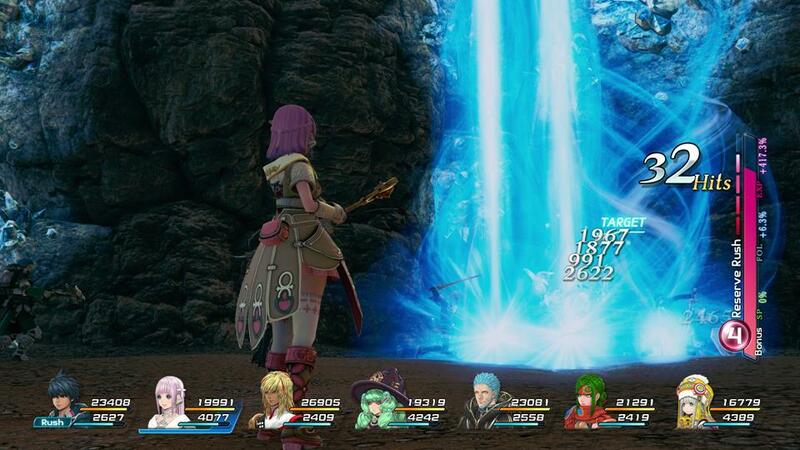 The last remaining face button pauses combat and opens a menu with deeper options, such as if you want to pop an item to heal mid-battle or the like. 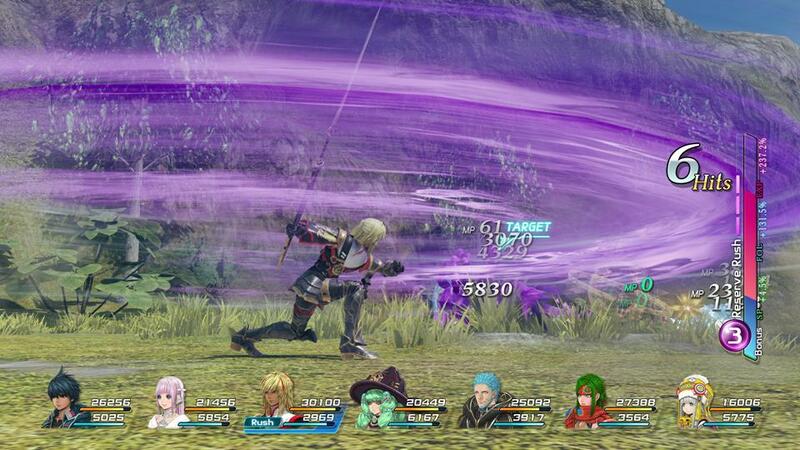 Fiddling about in menus pre-battle allows you to set a variety of skills which can be activated by holding one of the buttons instead of simply pressing, and there’s a rock-paper-scissors system at the core of the combat between those three main face buttons. All this is topped by a number of mechanics that offer up even better attacks under certain circumstances that encourage tactical thinking, pre-battle planning, and careful management of your party, and for my two hours of hands-on moment-to-moment it often did feel like an old-school JRPG of the SNES or PS1 era. At one point while playing I began to compare its feel to the thrumming, satisfying tempo of Fable II’s one-button combat but with a Japanese RPG twist in the form of party management, deeper magic mechanics, more items and so on. It’s clear at least one eye has been turned towards the West when developing this game, but it’s remained mindful of its past too, with the end result that it feels like a more solid middle ground than many other attempts I’ve seen. Later in my hands-on I got to load up a save game that’s some 26-hours deep. 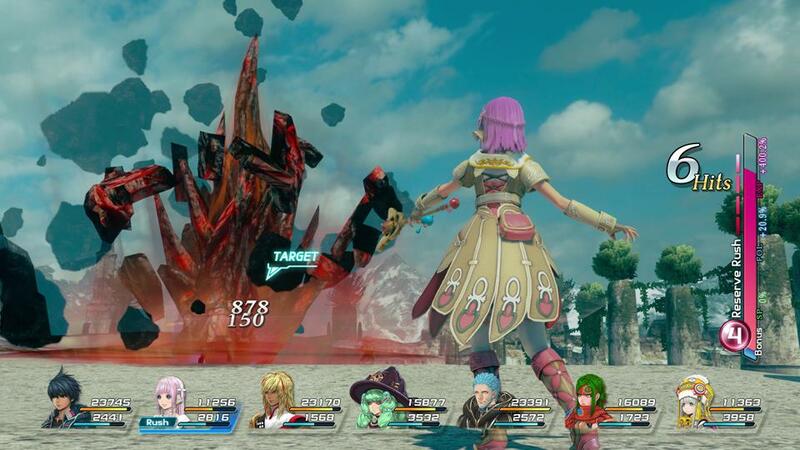 Here I got to see the full extent of this title’s systems – there’s a whopping seven characters in my party, and all of them have unique abilities I can switch between and assign, unique styles of regular attack and player-set AI routines that determine what sort of approach they take to battles. Most satisfying of all is the fact that you can switch between any of these seven mid-battle, and all seven characters are visible on the field at all times. In this save we’re dumped onto a spaceship manned by hostile soldiers having long left the starting planet I spent the first part of my demo on. There’s something slightly mad and incredibly satisfying about seven brightly-coloured anime characters stomping through an environment, giving anything hostile in their path a bloody good kicking. 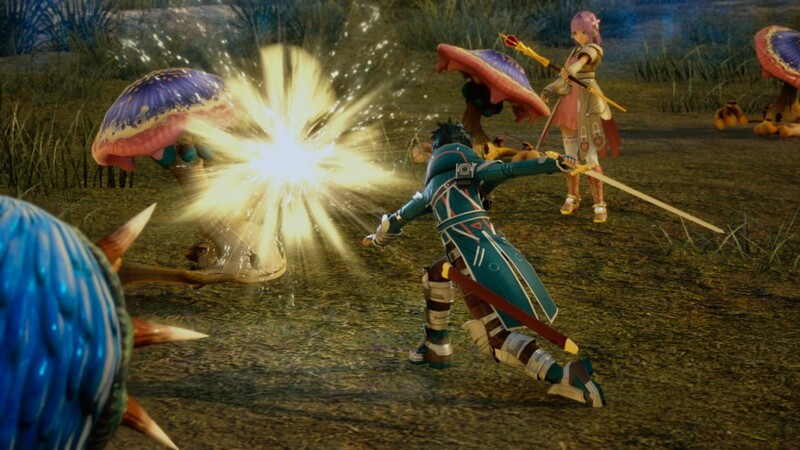 Even when characters are firing off spells and flashy attacks all over the performance wasn’t dropping from 1080p and 60 frames per second, and the transition between the field and battle is entirely seamless. More surprising still, the game seemed to show restraint with narrative as well. It rarely stopped to throw you into a hand-wringing cutscene but instead had more ambient dialogue between your massive technicolour gang of anime tropes as you wandered around the environments. All of this feels welcome, but more than just welcome, it feels smart. 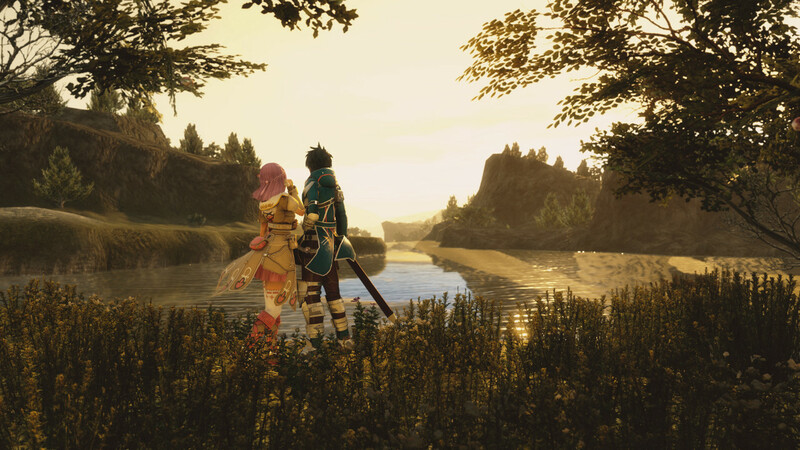 After a couple of hours with it I feel like Star Ocean: Integrity and Faithlessness should manage to stick the landing with what it’s aiming to be. It’s not trying to reinvent the wheel or reinvigorate a flagging franchise and it has no illusions about being a game of the year contender; it’s niche and it knows it, it embraces it. In that it seems to find its greatest strength, and it does what it’s aiming to do, narrow though it might be, incredibly well. There’s been some backlash in Japan about the length of the game, censorship and the difficulty level – all things that are tough to judge in a two-hour demo. What I played felt pretty damn solid though, and I’m keen to play more – and to see if Fidel can live up to the ‘I’m laughing at a very serious scene’ class of Mr. Edge Maverick. I really hope he can. 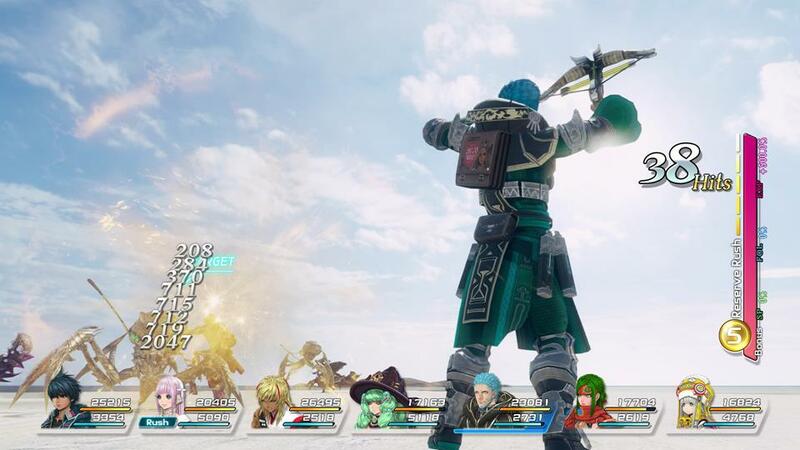 Star Ocean 5: Integrity and Faithlessness is out June 28 for the PS4.